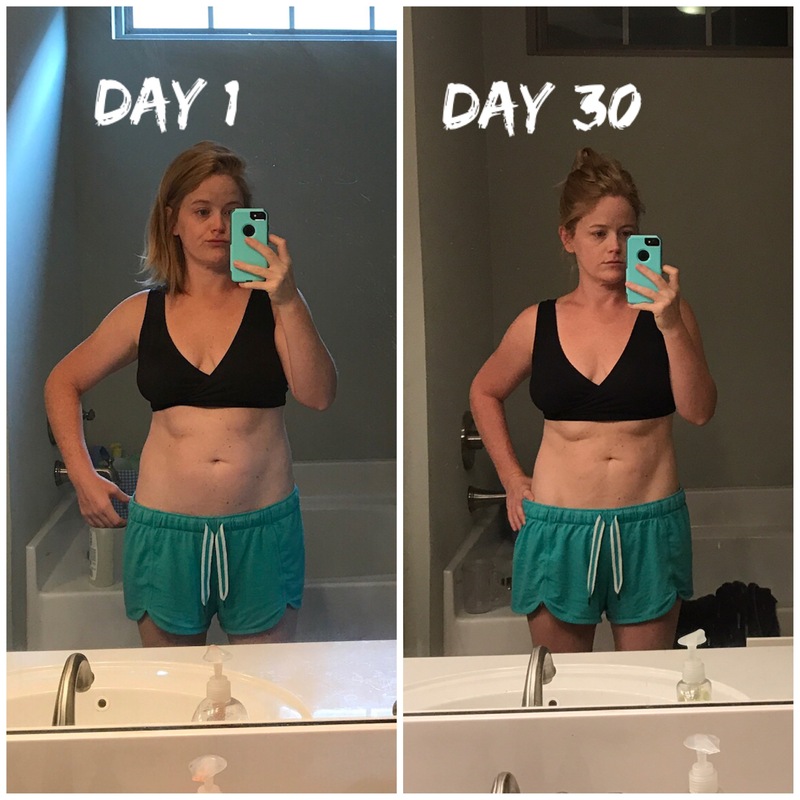 It has been almost a month since we finished our 30 Day Challenge and I thought it was about time we shared with you the good, the bad and the ugly. Workouts– we wanted to spend more time together and be a good example to Foster. That’s when family workouts came to mind! That meant that Foster would play while we did workouts or we would incorporate him into them. It was a way to get us out of the rut of just watching TV at night or being on our phones. 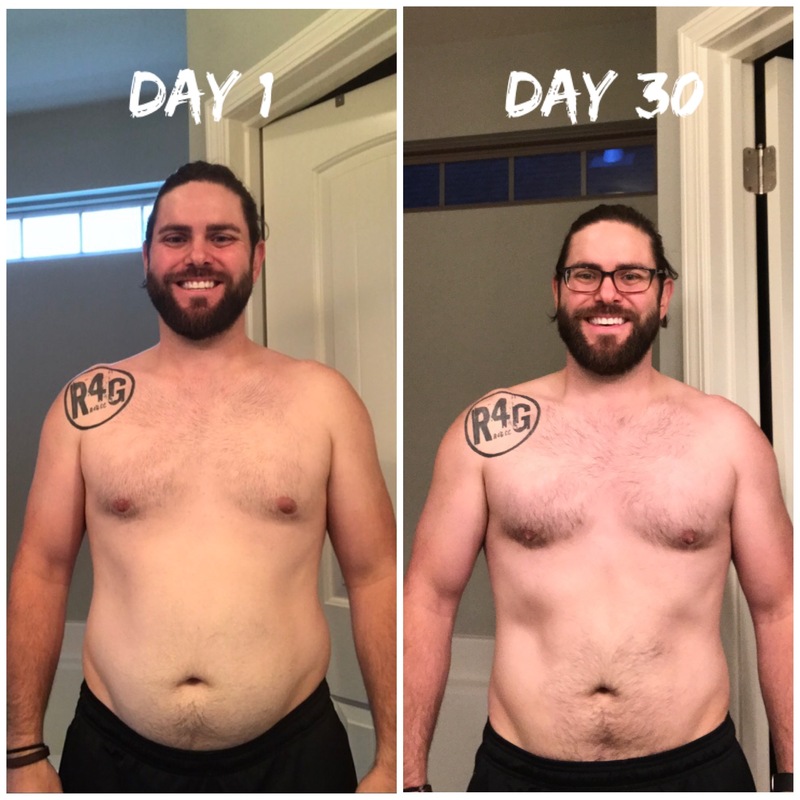 Whole 30– we had done Whole 30 before and we knew that it was a very healthy way of eating for us, so we decided to go for round two (after starting and stopping a few times prior to this attempt …oops). Accountability– it is a huge deal to have someone that you report to. In our case this time it was mostly you guys (besides having each other). I really believe this is what made this challenge succeed. It’s also important to add that I’m a fairly private person, so to put it out there that we were doing this thing was a big deal for me. Plus, we didn’t want to come to you guys and tell you we gave up. So, thank you for keeping us accountable. Discipline– a good amount of self-discipline is a healthy practice and can help you become a better version of yourself. To me it goes back to delayed gratification. Being able to say no to things (food or otherwise)that you know aren’t good for you or aren’t good for you right now. It a good and hard skill to practice. 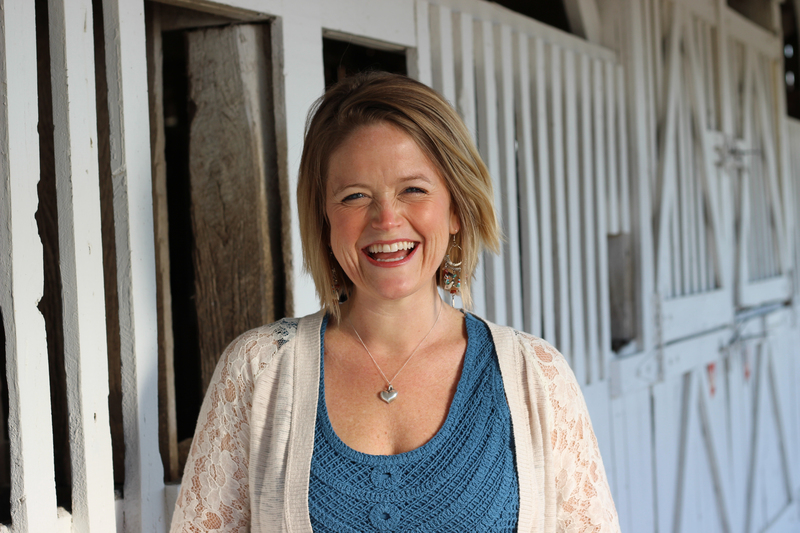 You are what you eat– what you put in your body is pretty much directly related to how you feel. You eat good, you feel good (for the most part). You eat crap, you feel like crap. One of those concepts that sounds so easy but is so flipping hard! Perseverance-we didn’t want easy, we wanted worth. Persevering through a 30 day commitment is tough. There were days that we didn’t want to work out and there were days that we just wanted to eat junk, but we persevered. We didn’t do things perfectly but we did persevere. 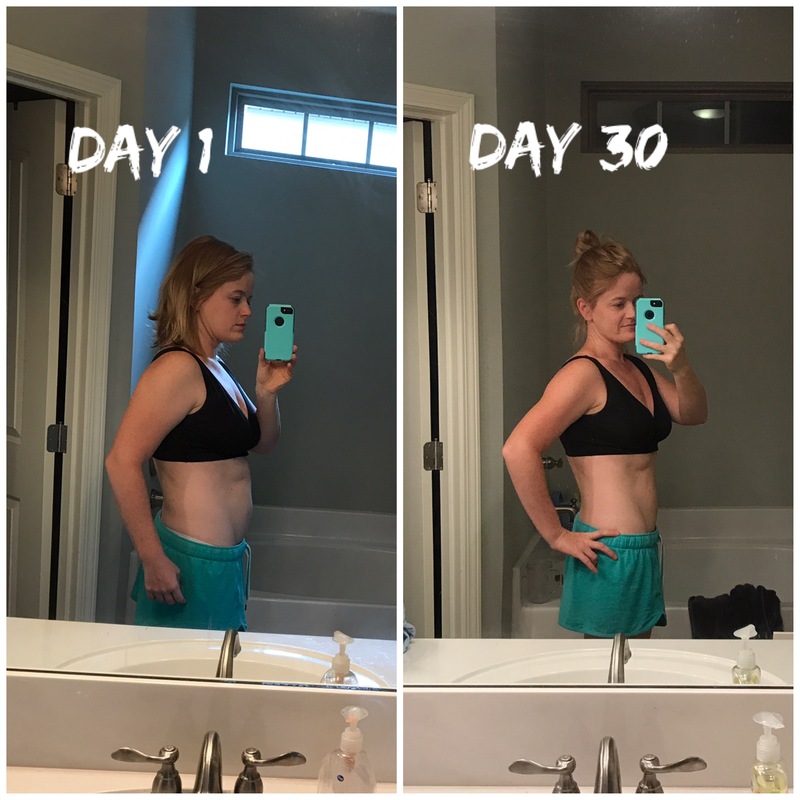 Shift my focus– During this round of Whole 30 I became too obsessed with the scale. You are not supposed to weigh at all during this program but Aaron did it, so naturally I did too(very mature, right?). I’ve had eating/body image issues in the past and this is definitely a trigger for me. I focused too much on how much weight Aaron was losing and how much I was not losing. Next time I want to shift the focus back to health and taking care of myself. This is a much better place for me to be. This is where you come in! We are looking for another challenge to do. It can be food, health, or a physical challenge. We are pretty open, but we would love to hear from you. What is something you’ve always thought about doing but never have? Let us know and we’ll do it for you and tell you if it’s worth your time! 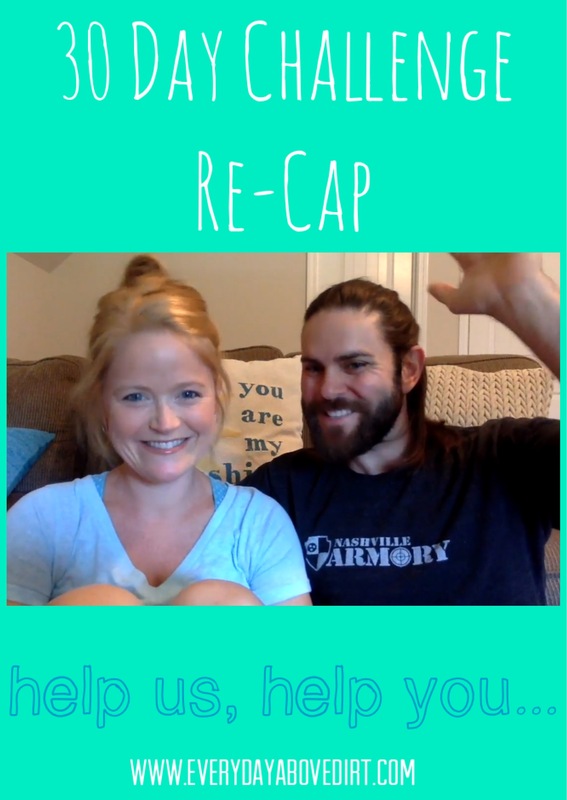 Check out our video to get more details about our journey! And thank you again for your support. It’s a bid deal…huge! Aaron lost 15lbs and I can see a huge difference in his physique. I lost 5-6lbs (depending on the day I weighed). two days is a big deal!!! This is so great! Congrats, you both look great! I’m guessing I’m not the person to ask about your next challenge as I’m waiting to take a cake out of the oven. ?But I have to say, I admire your discipline sticking with the challenge. The pictures don’t lie! WOW! You guys are looking great! Crazy what 30 days can do! That extra accountability of putting it out there like this I’m sure was a huge motivator. Wow! What a difference a month makes! SO inspiring. Thank you so much Amanda!! It’s definitely a journey.